YOU'LL NEVER FEEL SO FIT (ABOUT YOUR CONTENT MARKETING). You've heard it since you were a kid: Cereal X or Fruit Drink Y provides all of your daily essential vitamins. Important Stuff! 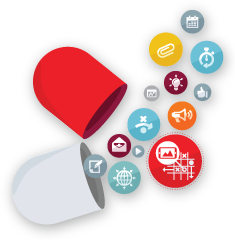 We've taken the same approach to your Modern Marketing well-being. 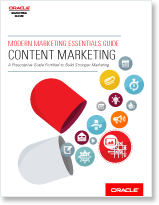 This time, the focus is on Content Marketing. "The goal is not to be good at content marketing, the goal is to be good at business because of content marketing." Get it and get fit! 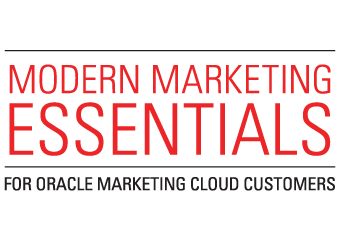 "Modern Marketing Essentials Guide to Content Marketing"
Copyright © 2014 Oracle and/or its affiliates. All rights reserved.